I grew up in a family that loved ice cream. There was always ice cream in our freezer and at our grandparents. Sometimes it was even homemade. 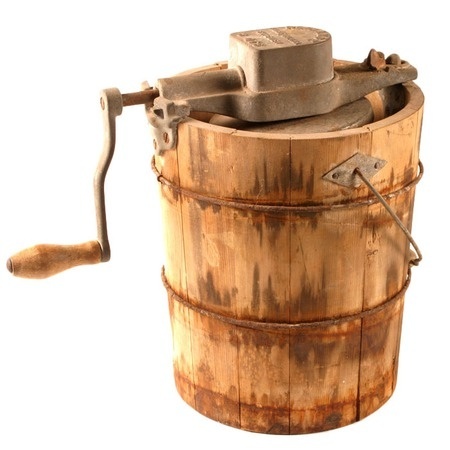 A favorite way to celebrate a weekend during the summer was my dad making ice cream. Mother made the custard, and then we did the rest. They invited neighbors and friends to enjoy the ice cream with us. Any leftovers went into the freezer. After the custard was poured into the metal container, Daddy carefully layered ice and salt around it. And then the work started! My brother Critt, Daddy, and I took turns turning the crank until it wouldn’t turn any more. Of course, it was ready for eating right then, but there was always a wait period to let it set. We didn’t care if it was a little runny, but management had different ideas. In Shelbyville, Kentucky, where my grandmother Lulu lived, there was a family-owned ice cream parlor. At Mirror Lake Farm, there was never any grocery-bought ice cream, only from the small parlor. My dad’s favorite was banana, mine chocolate, Critt’s strawberry, and Mother’s butter pecan. What was at Lulu’s house was never enough. During our vacation visits, there was always at least one stop to get cones filled with our favorite flavors. Granddaddy, my mother’s father, ate a large bowl of ice cream every night before he went to bed. He was not picky as to the flavor and would even mix flavors sometimes. This 5′ 10″ man had a phenomenal appetite, but stayed skinny his whole life. Even if ice cream was served for dessert at supper, he still was ready for his bedtime snack. Biltmore ice cream was a favorite to all of us. Often Sunday afternoon sojourns were made to the Biltmore Dairy Bar in Asheville. 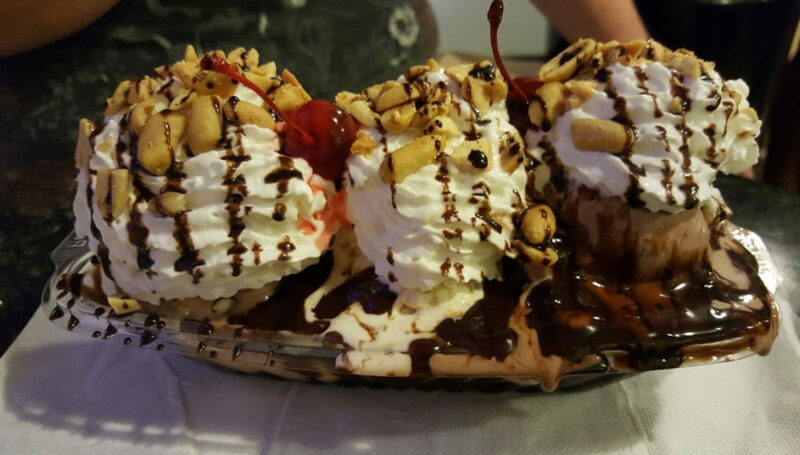 Absolutely decadent treats, like banana splits and ice cream sundaes, were enjoyed. And it is no wonder that all was delicious: the ice cream was 15-18% butterfat! There was always a line to even get in that building. Daddy, whose aversion to lines since his time in the Army, never seemed to fuss about this line. Biltmore Farms was organized in 1897, and delivery trucks took milk, cream, butter,and ice cream to their Asheville neighbors. Comparing the two photos below shows how these trucks evolved. Thank you, George Vanderbilt, for bringing those Jersey cows to North Carolina! I continue to be startled by my ignorance. It was only in watching the news this morning that I found out it was National Ice Cream Day! Who knew? Obviously, President Ronald Reagan was a fan of ice cream, too. I found this Presidential Proclamation issued by him in 1984. The celebrations were originated by Joint resolution 298, which was aptly sponsored by Senator Walter Dee Huddleston of Kentucky on May 17, 1984. The President wanted to promote our dairy farmers (my grandmother Lulu was one), and of course, ice cream is certainly the best product made out of milk. 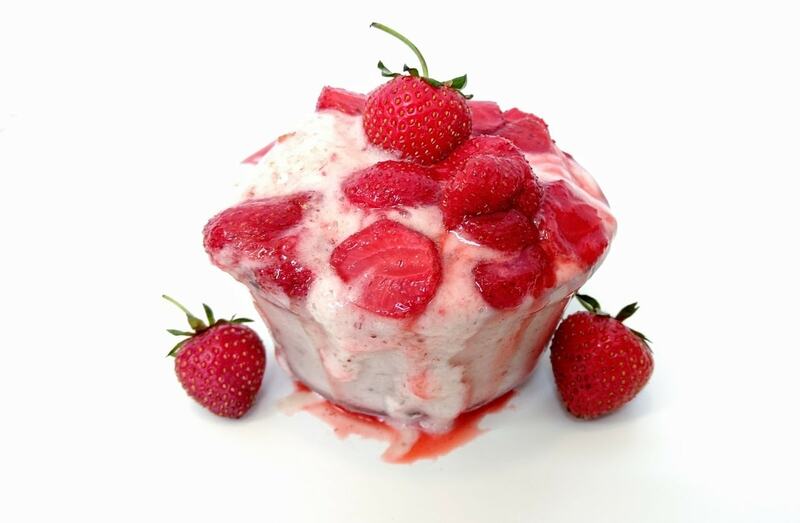 Ice cream is a nutritious and wholesome food, enjoyed by over ninety percent of the people in the United States. It enjoys a reputation as the perfect dessert and snack food. Over eight hundred and eighty-seven million gallons of ice cream were consumed in the United States in 1983. The ice cream industry generates approximately $3.5 billion in annual sales and provides jobs for thousands of citizens. Indeed, nearly ten percent of all the milk produced by the United States dairy farmers is used to produce ice cream, thereby contributing substantially to the economic well-being of the Nation’s dairy industry. The Congress, by Senate Joint Resolution 298, has designated July 1984 as “National Ice Cream Month,” and July 15, 1984, as “National Ice Cream Day,” and authorized and requested the President to issue a proclamation in observance of these events. NOW, THEREFORE, 1, RONALD REAGAN, President of the United States of America, do hereby proclaim July 1984 as National Ice Cream Month and July 15, 1984, as National Ice Cream Day, and I call upon the people of the United States to observe these events with appropriate ceremonies and activities. So here it is the third Sunday in July, 2018, and it is National Ice Cream Day. Google is helping us with places to go for free ice cream, frozen treats, and deals. Since Brusters is our favorite ice cream place here in Spartanburg, I do believe we will find ourselves in line there this afternoon to help observe this day. “My advice to you is not to inquire why or whither, but just enjoy your ice cream while it’s on your plate,” said Thornton Wilder. Or you could wait for another treat to enjoy tomorrow on Fresh Spinach Day! Posted in Uncategorized and tagged Asheville, Biltmore Dairy Bar, Biltmore ice cream, George Vanderbilt, ice cream, Shelbyville, Spartanburg, Thornton Wilder. Bookmark the permalink.